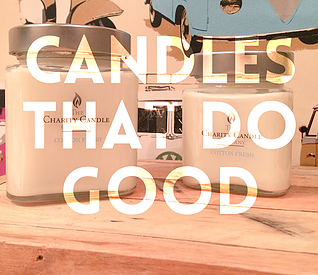 #smallbiz Series Part 3 Featuring The Charity Candle Company. I have found all of the business I'll be featuring on Twitter, under the hashtag #smallbiz! This is Part 3, go and read Part 1 and Part 2 if you fancy it! "Freshly squeezed lemons and zesty lime create a fruity and exotic scent"
"Zesty orange with a dash of cinnamon+clove create a warm, spicy fragrance"
"A fresh scent, evoking thoughts of freshly washed laundry and crisp spring air"
"Warm, sweet and comforting the scent of vanilla will make your home feel inviting and uplifting"
The mini candles burn for 10-12 hours, small for 40 hours and medium 60 hours so whichever one you choose you're guaranteed a long burn time! That's #winwin in my book! Delivery by Royal Mail is £2.80 and delivery to USA is £12.95. They work with the Bride and Groom to make sure they are perfect before sending them out. They can personalise each jar with the guests name on, so that they double up as place cards as well as favours. The Bride and Groom get to choose which charity or combination of charities to support. Doing something good whilst celebrating their special day! They also offer candle parties within East Anglia, a fun filled evening of candle sampling with friends and family, we will offer hints and tips on how to get the most from your candles. The host will receive a gift and chooses the charity to support and we donate 10% of the money taken on the evening. I love the ethos behind this company. You get to enjoy a sweet smelling candle, knowing that you've donated money to a charity. (10% of the price is donated!) You get to choose which one to support from a list of 5 including East Anglia's Children's Hospices, Teenage Cancer Trust, The Dog's Trust, The British Legion and Balls to Cancer. This moustache design specifically supports the 'Balls To Cancer' Charity and is perfectly designed for the man in your life. The Sandal Wood is reminiscent of chopping wood in the back yard, sitting in front of an open fire and polishing leather boots! (Although not all t the same time!) There are 3 moustache designs to choose from in this warm and musky scent. Gorgeous! This year, The Charity Candle Co have set themselves a challenge to raise £5K for their chosen charities! I think this is an incredible challenge and I urge you to check them out to help them get there! 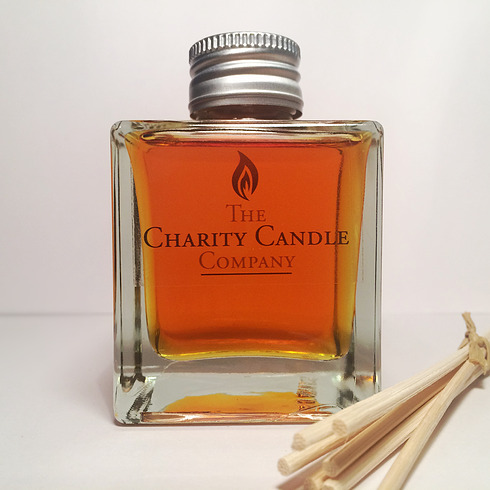 ​The Charity Candle Co also sell Reed Diffusers! Perfect if you can't have candles but still want your room to smell amazing. 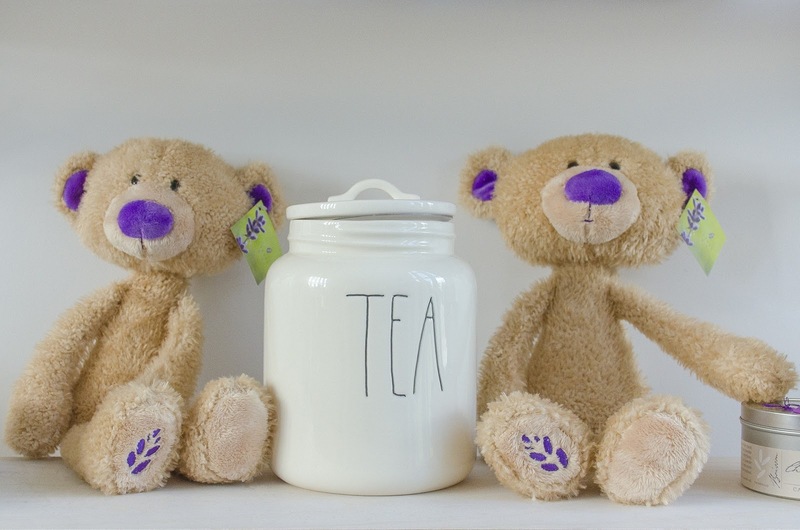 Priced at £15 they make a beautiful gift and wouldn't look out of place in your bedroom or on the side of the bath. =) The scent of the one pictured is Lemongrass and they have Lavender and Geranium. Mmm, I can smell them already!! Rachel has hit upon a wonderful idea, combining a women's love for buying and burning candles and a way to support charity! It's ideal as we all have well meaning intentions of supporting charity, but don't always get around to it. I wish more companies would make it this easy to show your support. Well Done Rachel! Thanks so much for stopping by to find out more about the Charity Candle Co. 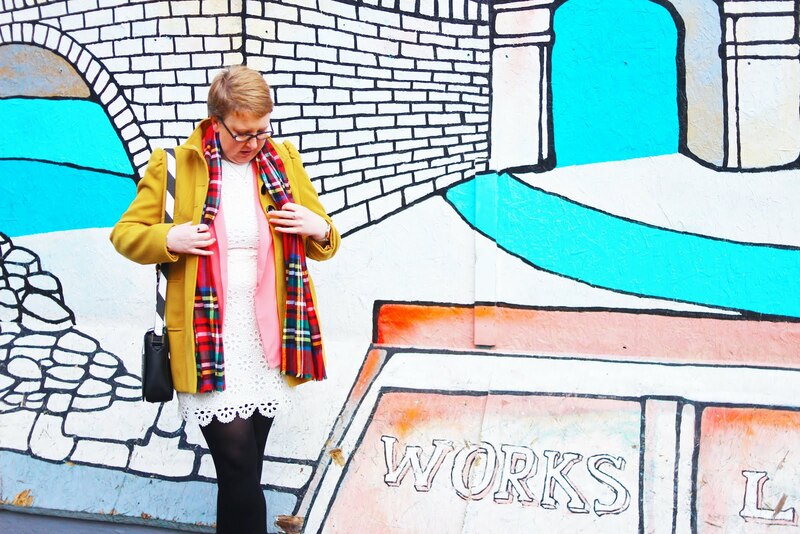 I'll leave all relevant links below for you to peruse at your leisure!